February 18 – Ukrainian troops left the city of Debaltseve as a result of massed intense fire by the Russian Army and pro-Russian terrorists – according to Minsk agreements Ukrainian military couldn't fire back in order not to break "Putin's ceasefire". "This morning Armed Forces of Ukraine together with the National Guards of Ukraine have completed a planned and organized withdrawal of forces from Debaltseve", – said the president of Ukraine Petro Poroshenko, who led the operation. February 18 – NATO Secretary General Jens Stoltenberg has spoken about the use of modern weapons by the militants of "People's Republic of Donetsk" and "People's Republic of Luhansk" against Ukrainian military near Debaltseve. He did not specify the kind of weapon. February 18 – "I call on Russia to withdraw all its troops from the east of Ukraine, to cease all support of the separatists, follow Minsk agreements and pressure on the separatists to force them to comply with ceasefire", – said NATO Secretary General Jens Stoltenberg. February 18 – 167 wounded were transported to Artemivsk from Debaltseve. It was impossible to pick up the bodies of many who were killed. 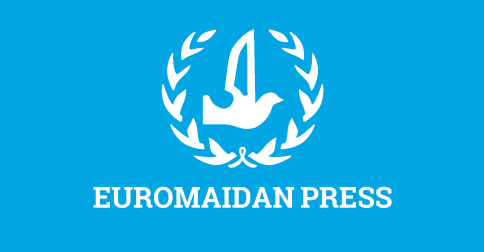 February 18 – The militants supported by Russia demonstrate a clear intention to expand their control over the region, recognizes PACE, – said the President of the Parliamentary Assembly of the Council of Europe (PACE) Anne Brasseur. February 18 – European Union should consider deploying a military mission to Donbas if Minsk agreements are not adhered to and the fighting continues, – said the representative of Ukraine to the EU Konstantin Eliseev in his comment to BBC Radio. "We must use all our efforts and capacities (not only Ukraine, but the US and the EU) to press Kremlin to stop military fighting. If this fails, we must talk about a plan "B". Perhaps, it is time for the EU to consider the possibility of a military intervention in Donbas". February 18 – According to President of Ukraine, Petro Poroshenko, in Debaltseve, the mission of Ukraine's Armed Forces was fully accomplished, despite the fact that the Ukrainian Army totally left the city. "This position and successes were very necessary in Minsk during the negotiations, and after Minsk. We could demonstrate to the whole world the real face of the bandits, separatists, supported by Russia, which took on the role of the guarantor and a direct participant of the Minsk negotiations," emphasized Poroshenko. The head of the country clarified information about the encirclement of the Debaltseve fighters as well as about the massive deaths of Ukrainian soldiers. "We stated and proved that Debaltseve was under our controll, there was no encirclement. Our forces and divisions left in a planned organized fashion. They left with their full artillery, with tanks, with BNP, with SAU, with tractors, with automobile technology," stated Poroshenko. According to the President, those who left Debaltseve included the 128th Mountain Infantry Brigade, parts of the sub-divisions of the 30th Brigade, the 25th Battalion, the rest of the 40th Battalion, Special Forces, and the National Guard. Smoking Putin Out of His Cave David Marples : Minsk-2 Soldiers near Debaltseve ask for help, say they could all be killed By Rick Lyman and Helene Bienvenue: Hungary Keeps Visit by Putin Low-Key as It Seeks to Repair Relations With West By Andrew E. Kramer and David M. Herszenhorn: Ukrainian Soldiers' Retreat From Eastern Town Raises Doubt for Truce Christian Caryl: New Model Dictator Why Vladimir Putin is the leader other autocrats wish they could be. One year ago Feb 18, 2014: morning on Maidan Estonian President: a year of Russian aggression E. Lucas: Minsk is worth nothing Bloomberg business analysis on Russia, Ukraine, EU Ukraine: One year after EuroMaydan protests, justice denied for victims of violence P.S. : Please spread this appeal as much as possible.